WS that can be used to challenge your students. What do they remember from basic vocabulary of the first lessons/topics. The present downloadable printable is recommended for elementary school students at Elementary (A1) and Pre-intermediate (A2) level. 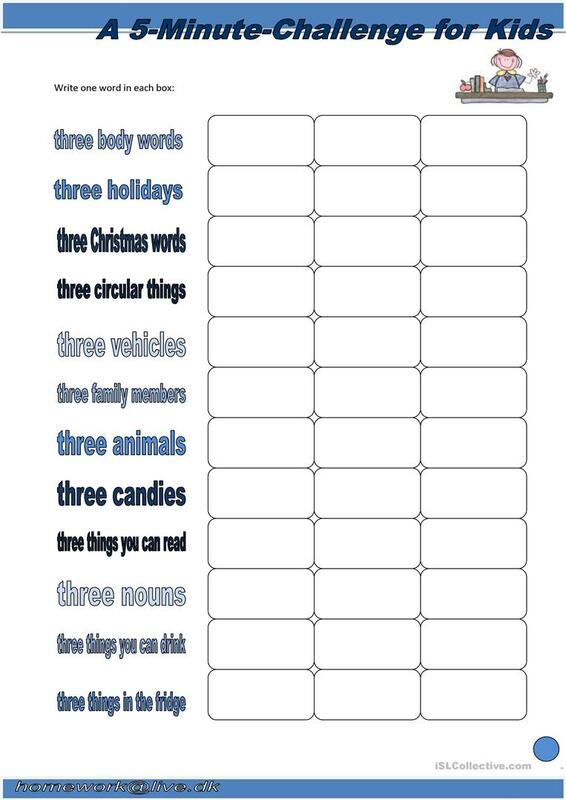 It is a useful material for teaching Nouns in English, and is useful for enhancing your pupils' Speaking and Writing skills.